One of the best parts of Close To My Heart Convention each year is the Q&A with founder and CEO Jeanette Lynton. To give our blog readers a little taste of this experience, we’re having our own mini Q&A here on the blog! You’ve submitted your questions (thank you for all the wonderful comments! ), and we’ve chosen some of our favorites to ask Jeanette. Here are her responses! Q. Jeanette, do you remember exactly where you were when the thought first came to your mind to create this business? And your first reaction to that thought? A. I have shared with many of you my experience of the first time I saw a catalog with rubber stamps in it at the hair salon. I had to have the one that reminded me of doodles I made in eighth grade. 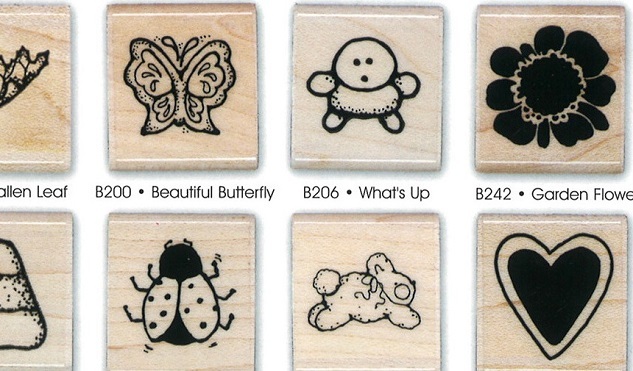 My love for stamping evolved into creating the stamps myself. As I showed friends and saw their enthusiasm, the formulation evolved and became bigger and better as it grew into a full-fledged business. Q. Jeanette, all those years ago when you were creating rubber stamps at your kitchen table, did you ever think D.O.T.S. would become the Close To My Heart of today? What did you dream for this company you started? A. YES! I saw a great vision for the breadth and scope of this company and what we would have to offer. I am so happy with our company and our Consultants. We have built a legacy company here. I also feel we have just scratched the surface of what I envision and know we can accomplish together. Q. If you could sit down with a brand new Consultant and a Consultant who has been with the company for 21 years, what advice would you give to each? A. I hope they would both know and live their “WHY.” If you run with that passion and never forget how you felt at the beginning, you will succeed in whatever it is you are doing with your Close To My Heart business. That is why so many have stayed for 20 plus years—there is something for everyone, and the community and friendships are such a huge part of the business. Whether you are here because you are an avid crafter and you love the products or because you want to build a strong Team, you are welcome here. Q. The next generation doesn’t seem to see the value in memory keeping. All their pictures are on phones. How can we help them understand those pictures need to be preserved for their families? A. Technology is great and we should use it, but it is ever changing and we can’t completely rely on that to be our legacy. Will your grandchildren even know what these social media outlets are and will they even be around? How will they find your memories if those social media outlets are the only place they live? I think everyone, at every age, should make a goal of printing photos monthly. 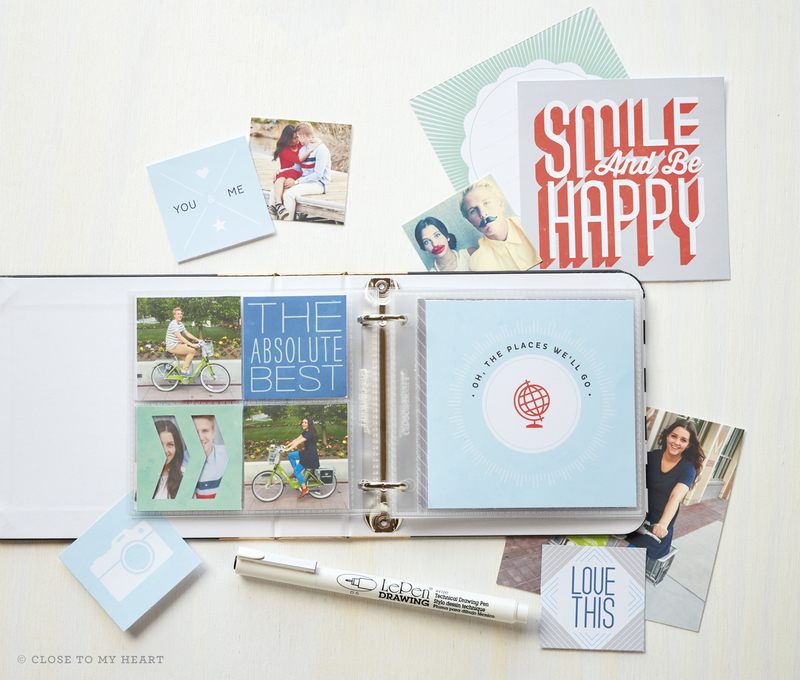 We also have been creating products to better involve this next generation: Picture My Life™, Instalife™, and My Crush® all appeal to this younger demographic who are looking for someone to show them how to document their photos and stories. It is important to get outside of our comfort zone and share what we have with everyone. They need us, and we need them. Q. After two years of being with Close To My Heart, I have decided to make my craft passion a business. So when you plan a couple of workshops and almost everyone cancels, or you find a very keen customer that wants to join but then backs out, how do you not take it personally, and what would you do to bounce back? A. It is all about perspective. If you work with people, there will always be things you cannot control—that is the nature of working with people. You can’t be offended that what you are offering doesn’t work for them. Everyone has their own daily lives and schedules, and sometimes it just doesn’t work out like we hope. You can always follow up with those who cancel. Maybe they just need to wait for the right time. Maybe they won’t be the right fit at any time—that’s okay, too. Just refocus and keep trying. I experienced this myself and found that more times than not, I was faced with rejection. I didn’t let it stop me though. I continued to share my passion until I found someone with a similar passion. They are out there! When I would have one successful Gathering, I would let that fuel me to the next, no matter what else happened. I stayed positive. Q. What is your favorite way to relax and just unwind? A. “I Love Lucy” reruns are my daily laughter fix. I watch an old episode every day, just for the therapy that good laughter brings. I listen to classical music to relax. It soothes me and helps clear my mind. To inspire me, I listen to great talks by spiritual leaders. And to learn new things, I listen to audiobooks. I also love to read a good cookbook. I am always dreaming up and planning ideas for parties at my home—all the details from the menu to the place settings to the decorations. I like dreaming them up even if they don’t always take place! Q. 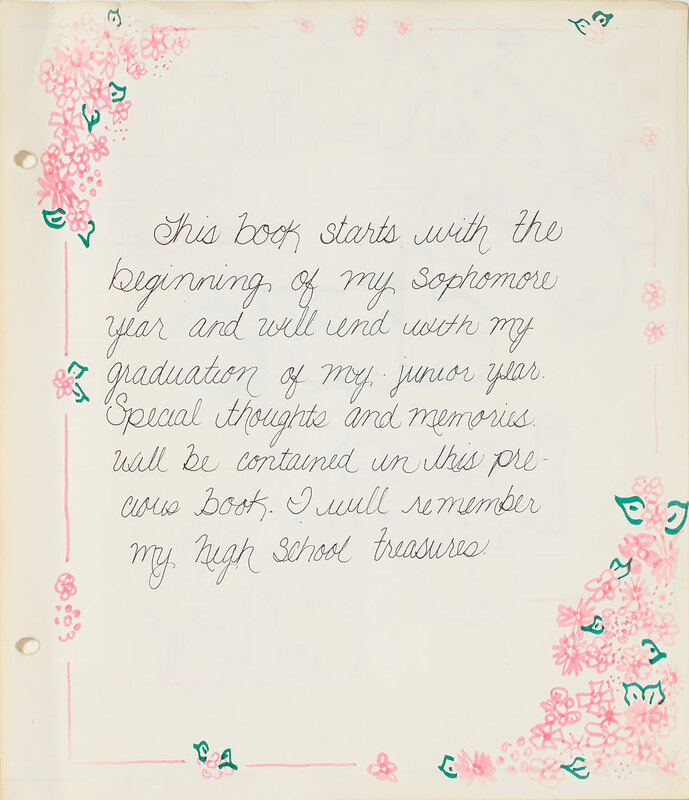 Can you remember the very first scrapbook layout you made? And what were the photos on it? A. The ones that stand out are the first years of high school, starting with my sophomore year. I did go back and scrapbook my younger years later, but when I started scrapbooking, I was a sophomore. My first layout didn’t have photos. I used my high school colors for papers and my school ID as my photo. The first layout I did that included photos showed me in costume when I played Minnie Fay in our school’s production of Hello, Dolly! I’ve even shared some of these first layouts on this blog before. Q. Has there ever been a time when your creative side went blank? If so, what did you do to get the ideas back? A. Everyone has creative blocks—it has happened many times to me over the years. I would be creating patterns for books and thinking of new products, and then I would get stuck and frustrated. So, I would force myself to walk away for a few days. That’s hard to do when you are addicted to your craft! Do it as long as it takes though, and you’ll find that you come back with fresh eyes and a fresh perspective. Q. Do you find yourself taking fewer or more photos than 10 years ago? A. I’ve always made sure to take enough photos for a two-page layout. Now it is easier because of the digital aspect. You can take a lot of photos and pick the best ones for your pages. You can also easily share photos with others and that gives you so many options. Q. Will we see you at Convention this year? A. I plan on attending and look forward to being with each of you! Q. Jeanette, are you an animal lover? Do you prefer dogs, cats, or perhaps something more exotic? Do you own any pets? A. I used to be an animal lover and had my share of them with little kids in the home, but now we don’t have any pets and I like it that way. Rachel, my daughter, has a crazy dog named Charlie. She thought she was getting a puppy, but she got a Velociraptor instead! He comes to visit every week and that gives me my animal fix. Q. What are some specific dreams you have for your company in the future? A. I know this company can expand throughout the world. We are taking it one day at a time, to see what is the best fit for Close To My Heart. We have so much still to offer the world. Like our mission statement says, “We show you how to celebrate relationships through discovering your creativity, to preserve and share the moments that matter most.” We need to share this beautiful vision with more people. We are working on it every day through our product selection and our beautiful Consultant base. We are making such a difference, especially as I think of all we continue to do for the children who are blessed through Operation Smile™. We are touching so many lives, and I want to thank you all for your support and generosity. Thank you, Jeanette! See you in June! ❤ you and your wonderful words of wisdom… always! Thank you for answering my question, Jeanette! I am honoured! Do you have any plans to bring back Studio J or something similar in the future? I loved Studio J and will miss it terribly! Thank you for the answer to all our questions, it is much appreciated. Thank you for all inspiring thoughts and answers. Also, thanks to those who put up the great questions. This was fantastic. It was great to get inside the brain of such an awesome lady! Whoever thought of doing this, ingenious. Thank you so much, Jeanette, for taking the time to answer these questions. It is always wonderful to hear from you and I look forward to seeing you in June! God bless you!